Fixing up your home can make your property more appealing to buyers. It can also reduce the time your home stays on the market. And fix-ups can get you a better selling price. But, there’s another side to home improvement projects. Some fixes actually waste the money you've spent on them when it’s time to sell. Some so-called upgrades may even make it more difficult for you to find a buyer. Let’s distinguish the loser projects from the winning projects. Since my blog is about home staging, this is not the time and place to recommend major kitchen and bath remodels. I think we all know that kitchen and bath upgrades -- if done right -- have a pretty good return on their investment. But let's focus on the more frugal, simple makeovers that add value to your property at selling time. It makes more sense to redecorate, update, and stage, than it does to remodel. A kitchen dates a home faster than any other room, because kitchens follow decor and color trends. Yet, buyers have strong priorities when it comes to kitchens. A major kitchen remodel (think big bucks) returns about 85 to 90% of your investment. If you’re selling your home soon, any of these quicker alternatives to the complete makeover are more likely to pay for themselves. 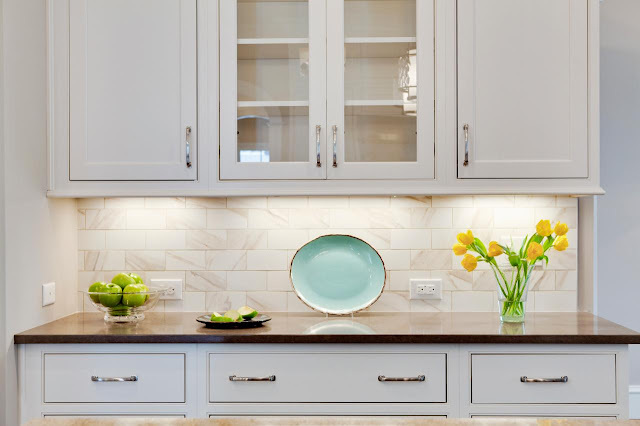 Under-cabinet lighting that comes at all price points. Remember that even a state-of-the-art, glamorous kitchen loses impact if your gutters are leaking, your heating system is antiquated, your roof is missing shingles, your updated wiring consists of yet another extension cord, and your toilets rock (not in a good way). A stylish backsplash and some under-cabinet lights make this space seem extra special. You can get all crazy, bust through some walls, re-plumb the room, yank the standard tub and replace it with a steam shower or spa tub, install heated ceramic flooring, and upgrade the vanity to the latest style topped with high-end granite, but unless your home is priced with other luxury properties to begin with, these upgrades won't pay for themselves at the closing table. 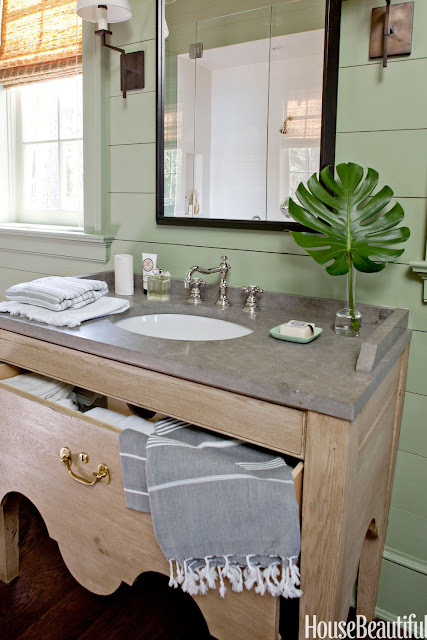 Instead, give your bathroom added value by making it look new without changing the floorplan. New toilets, sinks, faucets, showerheads, vanities, paint, and mirrors are not expensive. Study the look of luxury bathrooms and imitate them with your accessories and color choices. Scrub your tub until it shines, no matter what color it is. Clear off the surfaces. Introduce a light scent. Paint with a space-expanding hue. Invest in beautiful towels. Update the hardware. Not every buyer expects a brand new bathroom. Simple cosmetic changes can change the subtle perceived value of a home, as reflected in your selling price, so go for a "reset" that's just an economical "refreshing." How your home’s exterior looks will affect its fair market value. Make your home look inviting with an appealing exterior. Maybe the budget won’t allow new cement board siding or a total repaint (although painting an exterior can increase a home’s value by more than what it costs), but you can hose it down or pressure-wash it. Here are some other thrifty alternatives that will help make your house show well. Replace or paint the front door so it looks new. Make the door match and enhance the style of your home. Paint just the trim of your home – what’s around the windows and doors, the corner boards, the fascia and soffit under the eves. New paint in these places brings a home to life. Clean up the landscape. Drive the best neighborhoods in your area, and study what the professional landscapers have done there. Copy the look with the funds you have available. If nothing else, declutter and mulch, especially in the area in front of your home. Money spent on a new deck, patio, or porch, will give a good return. Exterior remodeling projects like this are better candidates for homeowner projects than interior remodeling projects. Can you do it yourself? 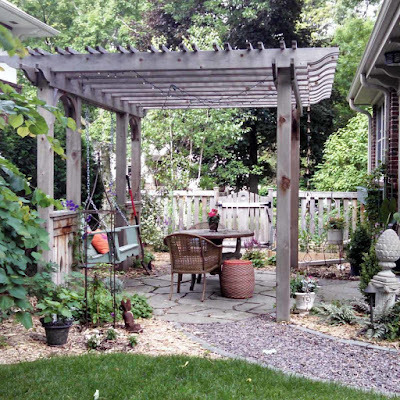 Exterior add-ons of outdoor living spaces, carefully done, have the illusion and even the function of added square footage. Make sure exterior hardware looks cared for. Are exterior lights operating? Do they need replacing or painting? How’s the doorknob, hinges and other hardware around the front door? Check handrails and even the mailbox to see if they want fresh paint. Spending is easy. Recouping is not. The hard facts are that with most home remodels, you never get your money back instantly. It’s only when you plan to stay in your home awhile, and you get to enjoy the improvements, that you reap rewards. And these rewards may not be financial, but the satisfaction of living in a home you love. Factor into your decisions about how to spend fix-up costs, the statistic that most Americans stay in their homes an average of only seven years, and that even though you plan to stay longer, you might not. One statistic stands out: that cleaning, decluttering and home staging give you unbelievable returns! A survey of 600 national real estate professionals shows that cleaning and decluttering can yield returns worth over 500% actual cost. I’m guessing the figure is that high because elbow grease is free. And because these actions have a huge visual impact. These same Realtors rated professional home staging returning almost 300% of the cost. In this case, I am guessing that home staging you do yourself will return even better numbers. The other investments that Realtors rate as valuable are lightening and brightening, which returns over 300%, and landscaping, which returns over 250%, and electric and plumbing repairs, which return about 180%. If you are a homeowner, chances are you’ll sell your home someday. Meanwhile, spending money to improve your home can be tricky. If you are willing to spend some money to get your home sold faster for a good price, the best places to spend cash are with the basic systems (plumbing, electrical, structural, roofing, painting, HVAC), and with cleaning, decluttering, and thrifty home staging. In my $4.99 eBook, DIY Home Staging Tips to Sell Your Home Fast and For Top Dollar, I describe how to give buyers the features they want, even if you don't have the latest, greatest version of these features. Downloading your copy is quick and easy, and you'll get over 150 illustrated pages of how-tos, techniques, projects, advice and encouragement.